This program is not available to new applicants at this time. We are working on an improved program. Existing Basic Resellers are not affected. Integrate international domain registration services seamlessly into your existing website and services. This program is not available to new applicants at this time. This program is for those looking for the best prices and widest range of domain extensions and related services from a trusted International Domain Registrar. Use our Reseller Control Panel to register and manage your customer's domains manually or utilize our API to automate and integrate into your existing systems. As a program for companies who are experienced with domain registration and management, it will add our extensive offering of international and specialized domains to your current offerings. 101domain handles the registration, and registrar responsibilities and you handle your sales, marketing, customer support and billing. Access to hundreds of domain extensions, requirements, and incredible pricing! 101domain has built its reputation as the leader in international domain names. We take care of registration processing, reseller support, and requirements and registry regulations. You're getting the best pricing and top notch support with our expertly trained professional staff. With hundreds of 2nd and 3rd level domain extensions available to you for fully-automated registration at market leading prices, open up your markets and achieve your full potential to capitalize on the massive growth of the domain name space! 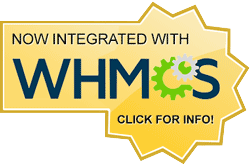 The 101domain Registrar module provides full support for WHMCS users allowing resellers and web hosts to fully automate domain name registration and maintenance for hundreds of 2nd and 3rd level domain extensions. Register, renew, transfer, and maintain domain names with us in hundreds of TLDs around the world including educational, government, military, special, alternative and new gTLDs. We provide local Trustee Services to allow your clients to register in countries with restrictions they couldn't otherwise satisfy. A standard EPP protocol that allows you to easily integrate our services into your existing platforms. Utilize our search API to connect your customers with the names they are looking for. We offer the highest percentage discounts to our Resellers to develop mutually profitable relationships. Top-up your account anytime to pay for new registrations, transfers, or renewals as needed. No minimum balances required. Don't miss out on the largest expansion the domain name space has ever seen. 101domain is ready for new gTLDs with support for sunrise, landrush, and general availability phases. Have questions about bulk transfers? We know this stuff and our expert transfer team is here to walk you through every step of the way! Request registration of a new domain name. Request to initiate the transfer of a domain name. Request to renew an existing domain name. Change and return name servers for a domain name. Change and return current domain lock status for a domain name. Change and return WHOIS information for a domain name. Change and request DNS host records for a configured domain name. Request EPP Codes to transfer out a domain name. Keep your account and WHMCS in sync with status changes, renewals, and expiry dates.